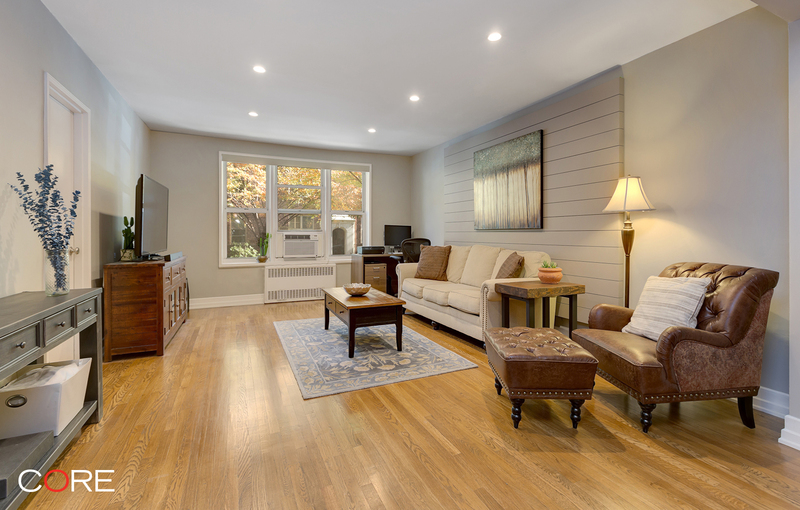 A beautiful 2-bedroom, 1 bath co-op in a doorman, dog friendly building in the heart of Jackson Heights is available. The open living/dining space has three windows overlooking a classic historic block. 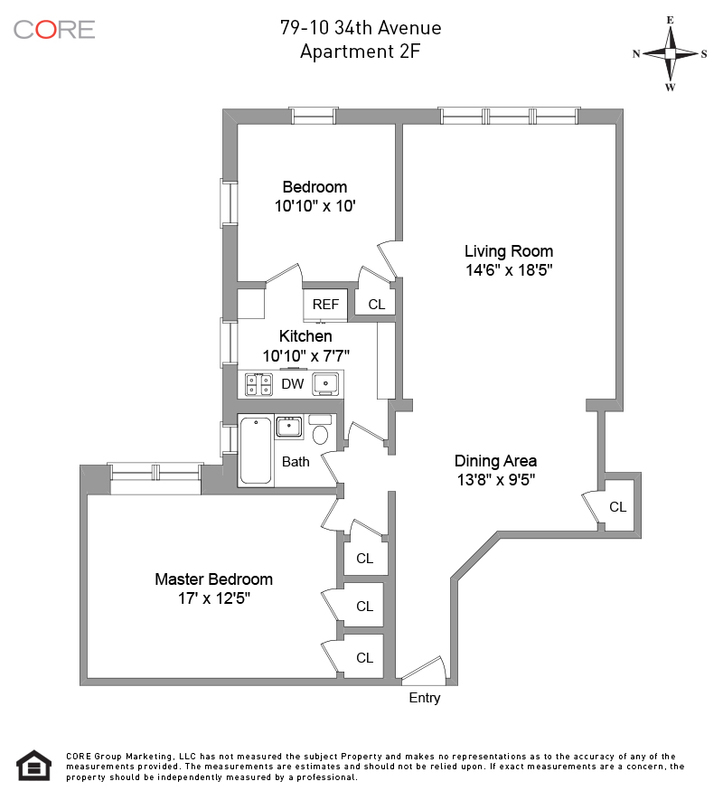 The two bedrooms include a large master and second bedroom with two exposures. The windowed kitchen features stone counter tops, porcelain tiled floors and backsplash, stainless steel appliances, custom made cabinets, and under cabinet lighting. A modern bathroom is complete with a soaking tub, porcelain tiles and a built-in wood cabinet. Throughout the unit you will find original hardwood floors with a walnut stain, recessed LED lighting and ample closet space with Elfa storage systems.